Who knew a mower could look so good? Get all the power and speed you will ever need with the Alpha MP. 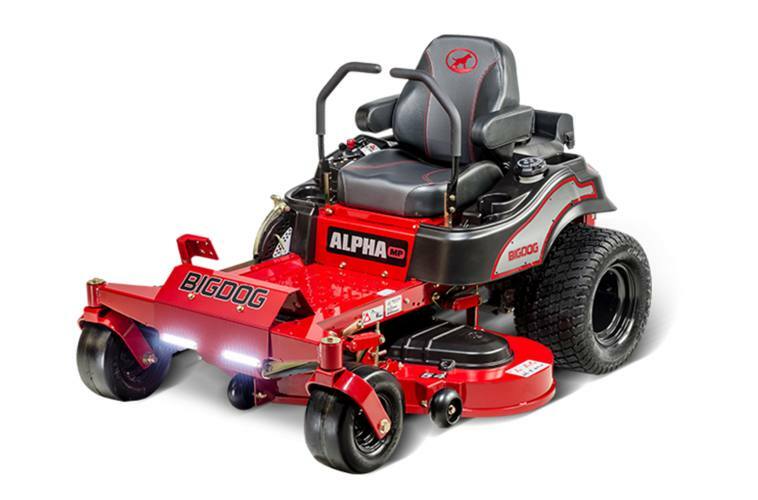 The Alpha MP provides maximum style and performance standard with Kawasaki or Kohler engine, embroidered seat, LED lights and a rugged engine guard. Cutting Height: 1.5" to 4.5"
Spindle Mounts: Reinforced 7 ga.
Frame: 3.25" x 1.5" x .120" Steel. Overall Width (with discharge chute up): 49.7"
Flex Forks: Shock-absorbing front caster forks provide a smooth ride and even smoother cut. Steering Lever Extension Kit: Easily adjustable in several different ways to make your mowing experience as comfortable as possible. Stripe Kit: Our innovative striping kit features a durable, heavy-duty system that's easy to install and is designed to leave a beautiful finish every time you mow. Mulch Kit: Recycles clippings under our ultra-tough deck, allowing clippings to be cut and recut, then discharged down into the grass. 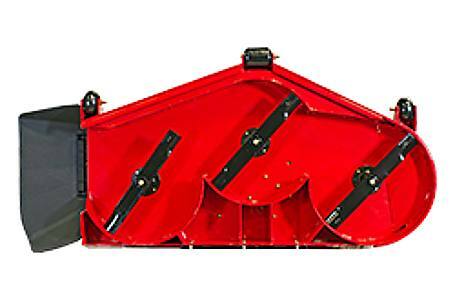 Non Powered Grass Catcher: This 5.2 bushel catcher is super easy to assemble, requiring only 9 bolts to attach the catcher, with no drilling necessary.